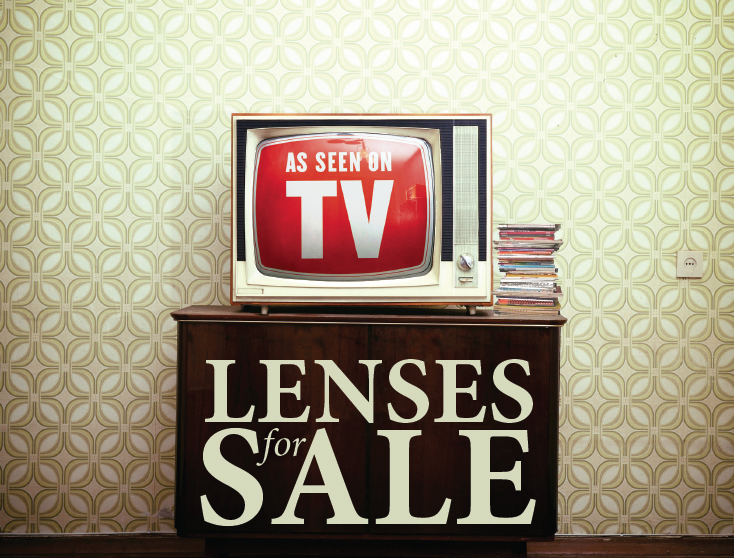 These days, more and more clients visit optical shops after seeing advertisements for spectacle lens products, either on television or in major magazines – and Dennis Higgins believes this is both good and bad. Efforts to brand various spectacle lens products with consumers have created an interesting conundrum for eyecare professionals (ECPs): on one hand, independents struggling in a competitive marketplace appreciate anything that drives more traffic through their doors and many have sought to leverage branding programs by prominently displaying signage and other point-of-purchase materials for products their clients may see advertised on TV or in print. But Deborah Perry, optician and owner of Optika Eclectic Eyewear in Saskatoon, recalls a few instances in which clients were so impressed by the lenses they saw advertised – either by the touted technology or features and benefits – that it was a bit challenging to direct them toward the products they actually needed. Interestingly, in Perry’s experience, despite significant efforts on the part of some lens manufacturers to “brand” their products with consumers, “nine times out of 10, when you ask people what they’re wearing, they haven’t got a clue.” Progressive wearers, she notes, tend to be loyal to a specific brand if they are happy with their lenses, but otherwise there is not a lot of brand loyalty when it comes to spectacles. This is not to say that ECPs don’t appreciate the efforts of lens manufacturers to support their businesses and increase consumer demand for the products they sell. Quite the contrary. However, many of them would also like to see corresponding enhancements to branded point-of-purchase materials as well as increased funding for educational programs that help opticians and optometrists better understand lens technology.